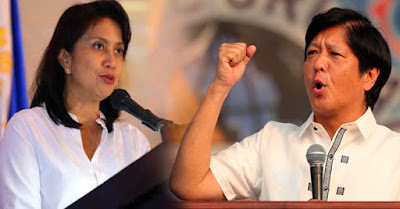 MUST SEE: Sen. Bongbong Marcos Has Lead The Vice Presidential Race! Aside from the presidential race, the vice presidential bid is equally controversial. Supporters of Senator Bongbong Marcos said there were anomalies and cheating in the recently concluded election. According to them, it happened when his tight opponent, Congresswoman Leni Robredo, took over the top spot. However, based on the most recent count, Senator Bongbong Marcos lead the VP race in the Overseas Absentee Voting (OAV). COMELEC Commissioner Rowena Guanzon posted the results on her Twitter account. It is clearly seen in the picture that Senator Bongbong Marcos is ahead by 86,734 votes from Filipinos abroad. After nearly an hour, Guanzon publicized another photo showing the OAV breakdown. Based on the notes below, Robredo reigned only in 10 countries and Marcos dominated the other 49. Commissioner Arthur Lim, who happened to be the head of the Overseas Absentee Voting committee, issued a statement saying: "Looking at the glass as half full instead of half empty, we are very pleased to know that the turnout is already very high and satisfactory." He said it although the voter turnout target was not met, due to issues with the postal service and schedules of OFW's. "They are there, 100 percent para maghanapbuhay. Yung pagboboto ay number two or number three priority lalo na kapag malayo ang pagbobotohan nila," he added.